Yet more LifeTag, battery issue resolved? Well, it seems that new Raymarine research pretty much obliterates concerns about the battery life of their LifeTag MOB pendants. A note from Product Manager Paul Tiller says that “…following exhaustive life testing by the engineering department, they are happy to report that the LifeTag tag battery will last for over 2000 hours of continuous usage, equating to 83 days or almost 12 weeks!” His excitement is understandable; that’s ten times longer than the previously published estimate! 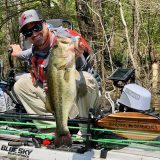 Raymarine LifeTag MOB system, well done! Previous story Ow, that hurt! It makes me wonder what led to the original 200hr forecast; it’s pretty easy to divide the battery’s power capacity by the measured power consumption. I guess we’ll know they are serious when they put the 2,000 hrs in the product brochure. Beyond that, it’s interesting that the installation guide specifies the insertion of a double pole switch (apparently not provided) into the SeaTalk cable (being careful to leave the third wire intact) so that the base station may be turned off. This seems a little klugy for a safety system and I would hope they would produce an appropriate switch with a SeaTalk connector in/out. The switch presumably enables the LifeTag system to be manually turned off so that the tags can be “automatically” shutdown (extending battery life) while the remaining SeaTalk devices continue to operate. Also interesting to note the 30′ range, but provision is made for a repeater. My guess is that it would take a little experimentation to find the right locations for the two base stations, given each boat’s distribution of foil backed insulation, carbon fiber, etc. while maintaining the recommended distances away from the compass, engine, radios, etc. We look forward to hearing the results of your testing. 1. 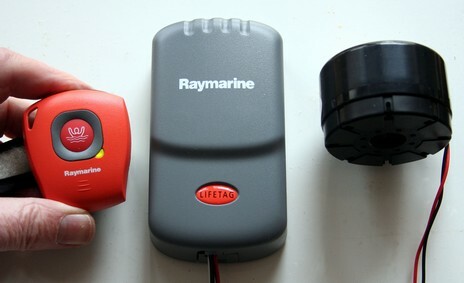 On Raymarine site, Products/LifeTag, the site shows 2000 hours of continuous use. I am excited and again considering this product, but wait a second, we are not getting the full picture. That’s a bit like telling me how many talk hours I have on a cell phone, without providing the standby time. There could be quite a variation (200 vs 2000 hrs ?) of use depending on how much power these units use when they are “off” (but still consuming power listening for instructions from a base station to turn on). I am hopeful the number is still impressive, but you never know, there is some really impressive transmitter technology out their which consumes very little power at a range of 30 feet. If it’s pretty big (e.g. 7,000 standby or 2,000 talk, e.g. accommodating to 8 months standby & 400 talk), then it’s probably a stroke of genius on Raymarine’s part to have not taken the rechargeable route, this is much simpler and takes little space in our boat. 2. Are there situations where the LifeTag stays active and uses up battery life unnecessarily? What are the chances a specific life tag does not auto-sleep? Does it have to hear a sleep message from the base station (What if it does not? ), or is it just a function of not being polled by the base station? 3. I would like to improve upon the previous comment about an off-switch inclusion. How about a button instead. Press the button to turn semi-off. Setup so each time the unit receives power, it defaults to the on-state (this way, each time the instruments are powered on, the tags are as well), in the semi-off state still allow an alarm when someone presses the button on the tag for assistance. Also in semi-off, it would be ideal if the tag�s would themselves beep if they go out of range of the base unit, reminding crew not to walk away from the boat (on the dock) with the tag�s. 4. Other question / new suggestion. I have enough things to do when I return to the dock, then to chase crew down for their life tag�s. Is there a function on the tag�s to alarm if you move out of 30 feet range? e.g. to warn crew to return the tag to the boat before they drive home after a sail? 5. Other question / new suggestion, is there a function on the base station to get all the tag�s to chirp so you can find where your crew hid them from the last use? 6. Other question / new suggestion, is there a function on the base station to show the number of tag�s in range, so you can find out if crew left a tag behind at a restaurant or something, before you depart ? It would be very easy to put an end to this LifeTag controversy. All that is needed is to look at the power/current input specification for the LifeTag unit. Measure that against the capacity of the battery and you’ll get the amount of time that it can stay alive. Every hardware device manufacturer does extensive measurements on their current draw especially if it is battery powered. We manufacture a cardiac monitor (www.activecenter.com) and I can tell you to 1/1000th of an amp how much our unit draws. 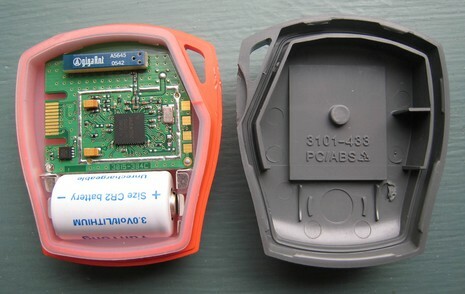 We use the same CR2 battery that LifeTag uses too – a very well-known and well documented battery. So I looked up the power input specifications for a couple of Raymarine products. 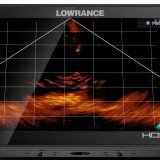 The H6 is a good example. In the back, in the specifications section, they list the maximum current and the average current that the unit draws. This is very common – usually in a table in the back of the manual. Then I downloaded all of the LifeTag manuals. 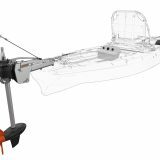 There are three on the Raymarine web site. Interestingly, none of them have current draw specifications for the pendant. Is it hiding somewhere? Did I miss it? Or is there something else going on? The 2000 hour figure is based on continuous operation with high use of the radio link in a busy RF environment (the most power hungry). When the base station is powered off, the tags will (after about 1 minute) enter a low power “sleep” mode. This uses a fraction (1/375) of the power when compared to an active tag. So, to put this into context, if you were to use the system for 400 hours over the course of a year and the tags are “asleep” for the remainder, then a battery should last you over 4 years – all subject to the usual caveats (as per the handbook) of appropriate storage location of tags. 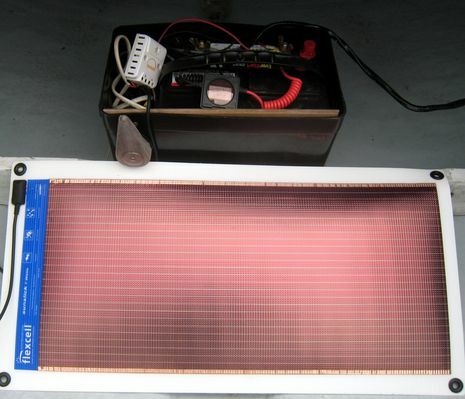 We also recommend removing the battery if the system is not to be used for long periods – this can extend life still further. The requirement for the installation of an in-line switch is to allow the LifeTag system to be powered down separate to other electronics and therefore conserve tag battery life, a point Russ makes in his comment. When it comes to range, every boat is different, therefore we strongly recommend that a full survey of the vessel is undertaken. Site the base station in a few locations about the boat and select the position which offers optimum coverage. Same goes for using a repeater. I am very grateful for the other comments and suggestions, these are always welcomed.